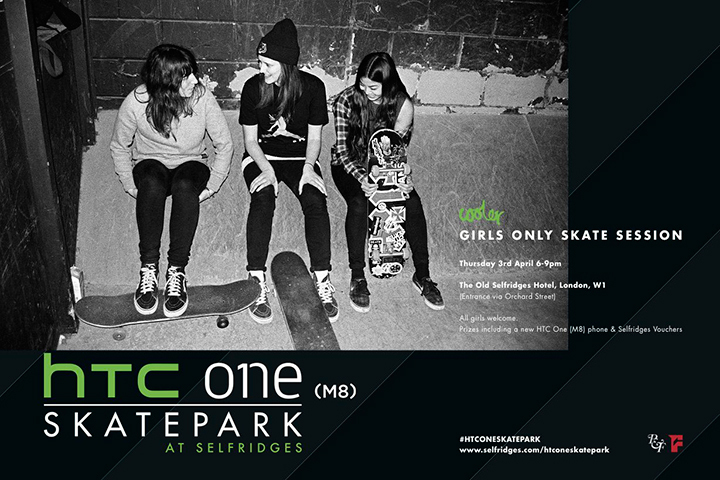 The girls at Cooler magazine have teamed up with the HTC one Skatepark at Selfridges to host a girls only skate session this Thursday evening (6pm-9pm). The sessions is for girls of all ages and abilities and you don’t have to RSVP, just turn up and get involved. Pros will also be shredding the park including Lois Pendlebury, Helena Long, Stef Nurding, Jenna Selby and Maria Falbo as well as instructor Amy Ram giving tips to the newcomers. Prizes will be dished out for best trick, best beginner etc. including an HTC one (m8) phone and Selfridges vouchers. 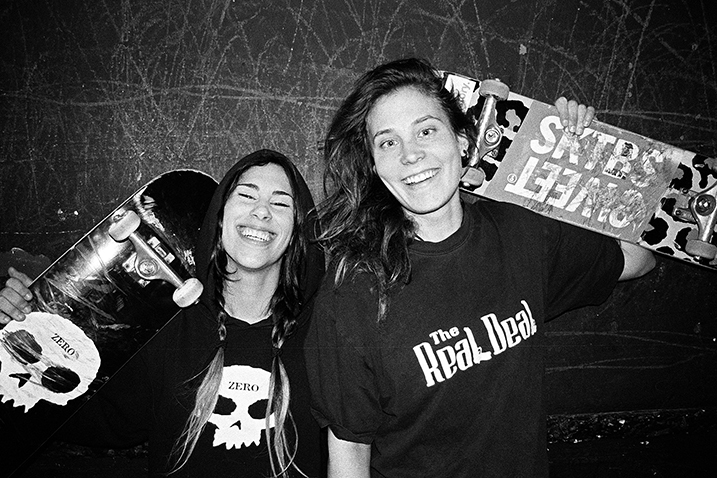 If you are a girl and still haven’t checked out the skatepark, then this is the perfect time. Full info on the flyer below.